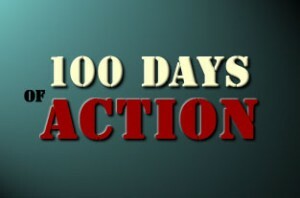 Last Monday (4/9/2012) marked the 100th day of the year. Seeing as how it’s been a whirlwind of a year for me, where half the time I’ve been hoping for more sleep/thinking I definitely bit off more than I can chew and the other half being surprised with how many things I’ve accomplished this year alone, this post is mainly to ask you a couple of questions. Before I ask the questions though, let me preface the questions with a couple of things. First, in all phases of our lives, we have to make sacrifices for the things we want. For example, if you want to have a child, you decide that you’re going to lose some sleep. Sleep is a “sacrifice” that parents willingly give up for the betterment of their child. If you want to build a body worthy of awe, then you’re going to have to sacrifice pushing through some pain and building mental toughness. This pain isn’t joint pain, but the muscle burning, the pain of figuring out how your body works. If you want to be worldly successful, then most likely you’re going to have to give up sleep, friendships and time spent with loved ones while building up your success. At the end of the day, this doesn’t mean that you have to “give up” your relationships or sleep, it’s just not an optimal amount of time spent doing those things. 1 – Added 5 clients to an already booked schedule. Sacrifice – Friday morning sleep (which was evidently not as priceless as I previously thought). 2 – Opened my own personal training studio. Sacrifice – The Sundays which were my only day to not have clients, is the only day that I can fit additional clients. In addition to that, all of my expendable income for 4 months (which has turned out to be a pretty penny). 3 – Became Technical Editor for a growing fitness Website. Sacrifice – My last 3 hours of free time during the week and the time to write articles for myself. 4 – Took the Clinical Hardstyle Kettlebell Certification – A 2 and a half day workshop taught by master kettle bell instructor and a doctor. How many of these certifications have been given out? Besides the people in that one course, none. Sacrifice – It cost me an extra $400 and that’s not including travel expenses or money lost from working on a Saturday. 5 – Took an online certification for the Lefkoe Belief Process. Sacrifice 4 Friday nights and hours of sleep, because I had no other time to do the work, except between 8pm – 1 am on Fridays. 6 – Functional Movement Screen Certification – Sacrifice – a weekend of studying for something that I had been using for a year straight and went to take the test and could’ve passed without looking at the book. 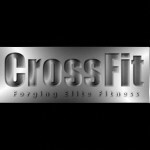 7 – TRX Suspension Training Course – Sacrifice. Sleep on the only day that I am able to sleep past 6:40 am. 8 – ALIVE online certification – 16 week online certification. Sacrifice, the one hour on a Tuesday where I would have time for myself. Tuesdays I work from 6 am – 3 pm and have clients from 4-8 or 9 pm 3-4 is the one hour of time I have for myself. That’s been given up in order to learn about a program that I believe in and would be great for a majority of the people I interact with on a daily basis when it comes to exercise. 9 – United States Olympic Weightlifting Certification – Sports Performance Coach ~ Sacrifice – My Right knee was out of commission for 6 weeks following this certification. Took me a while to not only fix it, but to be confident that I wouldn’t re-injure it once I started lifting. 10 – PICP Level I and II certifications – Sacrifice – Close to $4000 total, in the cost of the certification, income lost, hotel stay, taxi rides and food. 11 – NSCA CSCS Certification – Sacrifice – The time when I should be writing articles and posts, which help to keep me sane. 12 – Overall Sacrifice – Sleep, time spent with family and friends, about $20,000, time to write, time to workout, energy and, oh, did I mention sleep. Averaging 4-5 hours of sleep per night is not something that I had imagined, but it is what I choose to sacrifice at this time. A quick word of advice: Although I list the sacrifices, at the end of the day, when I’m moving toward my goals, I don’t and never will focus on the sacrifices, except in retrospect. Moving through the day, I actually focus on the things I’m grateful for. For the people in my life, the ability to do what I love, to help people and the knowledge and energy to do both. 1 – Peace of Mind – This is priceless, but basically comes down to having enough knowledge to deal with 95% of the issues I deal with and knowing when to actually refer out and not playing god with my clients. 2 – Exercises that help with shoulder stability in a way that is “functional” without being “wussy.” There’s a time and place for “wussy” movements, but there’s also ways to keep your shoulders healthy while not continually feeling like a wuss and that makes working out fun. 4 – The potential to actualize my dream of having my own studio where I actually want to workout at. Thus far, my studio already has more equipment than I actually want to use than 90% of the gyms I’ve been to in the past 5 years. This is a 3-phase plan and in each phase, I’ll be able to build upon that equipment list to have all the equipment I want. 5 – The potential to have a business that is self-sustaining without my need to be there. To have a freedom that is rarely realized – To work because you want to, not because you have to. 6 – The ability to have have my ideas spread throughout a wider forum than they are now. 7 – The ability to help my mom and those I care about with their exercises and nutritional needs. 8 – The ability to not be stressed about money. 9 – A system to use with clients that are relatively new to working out and in a way that helps with adherence. 10 – The ability to practice and play with lifts that I find fun exciting – two things I haven’t had in a very long time (the Olympic lifts). 11 – To be able to identify and fix the bodily issues I’ve had over the past 4 years but have been too stubborn to try and have someone else figure out for me. 12 – To have access to a 24-hour gym. At the end, the question is, have these things I’ve added in the first 100 days of the year, been worth it? Unequivocally, the answer is absolutely. Advice I was given close to 9 years ago, applies now just as much as it did then. 1 – To be free to take care of my health, my body and to spend the time and effort in a worthy endeavor. 2 – To be able to help those I care about most, first and foremost, followed by helping as many people as possible. This year I’ve been able to do those two things more so than at any other time in my life. 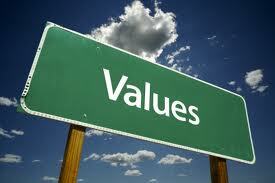 1 – Do you know what you want, what your values are? 2 – Have you been moving closer towards those things or simply spinning your wheels, going through the motions with no real direction? 3 – How far have you come in the first 100 days of this year? Identify them. Live by them. The good thing is that at any given moment, you can give up what you are, for what you want to be. What do you want to be and are you willing to make the sacrifices to make it happen? Impressive accomplishments in only 100 days! Amazing how you were able to squeeze everything in and take so many educational course. It’s noble how much money you spend on your education.